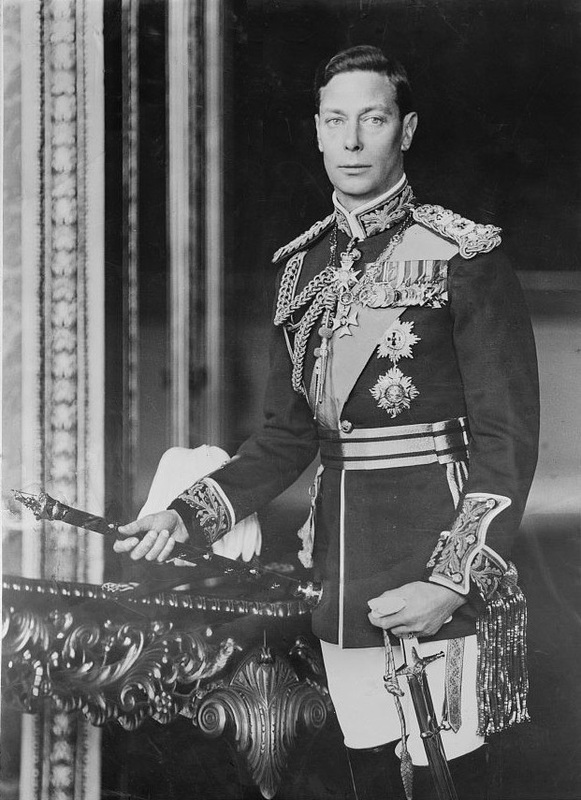 The book George VI by Hourly History has turned out to be a lecture for me on the personal level. It has made me realize that there are big gaps in my study of Indian History, which I claim to know well. I definitely have this awareness that my study of History of India is not complete. It is not because of my fault. The contours of the study of history were framed by the syllabus which I had studied at University level. It remained truncated because I was made to teach the History of India as per the syllabus framed by the university. When India got Independence, from the rule of George VI, there were three major problems before India. The first problem was of refugees who were in a range of one crore approximately (figures vary from documents to documents. I have never cared to check the parliamentary reports.) The second problem was the unification of India with the Princely States. The third problem was to adopt the right Economic policy of India. It is believed that when the government of Nehru tried to seek the information from the historians, they did not have any information on the Economic History of India. The nationalist historians had started writing on the economic history of India from 1920 but they did not have enough data to provide to the government. The Nehru government took the help of a statistician Prasnta Chandra Mahalanobis and established the Planning Commission. This event had also brought in forefront the need of writing the history of India for the "We the People" who had adopted their constitution on November 26, 1949. By that time, The History of British India by V. A. Smith was one of the most respected work on History to be used for the country. The chapters in that book were framed as the rule of Clive, Warren Hasting, Cornwallis, etc. That was the time, when the country was imbued with the heightened feeling of nationalism and even Marxist had formed their group in form of Nationalist Marxist. A feeling was floated that it was a mark of servitude that the History of Modern India was based on the chapters framed on the working of the Governor Generals of Bengal, then the Governor Generals of India and finally the Viceroy of India. By 1960, the country or rather Congress found a historian in Tara Chand to write the history which changed the history of Modern India into the Freedom of Struggle of Indians. The Marxist contributed in writing to Freedom Struggle of India which is still popular in the titles written by Bipin Chandra and S. S. Sen. The history which was then written tried to remove the British names out of the books of History. But, after that, the definition and the chapter forming of the history of India was dominated by the intellectual, historians and scholars with strong Marxist mindset. Now the trend is about writing and popularizing the regional history. Every state is telling more and more about their state to their young people as I have already tried to show in case of the syllabus of Punjab University Chandigarh. No where, there is a history of India for the "We the People". All through this period, that is for the last 70 years till now in 2017, Indians have not written the History of India and definitely do not have any clear idea of history. If you have to learn history of India, you may like it or not, you have to talk about the English names and their working. It is only in case of selection tests for various selection examinations, they try to ask unexpected MCQs, and then, there they would ask, who was the Queen of England in 1858? or Who was the Prime Minister of Britain in 1945? Why are you asking such questions? Are you studying the History of Britain? In case of American Historians, I have found, that they are very clear about their European Heritage. Whenever, there is a need, or whenever, they talk about the history of USA, they try to delve deeper into their European heritage. They are not adverse to invoke this aspect of history in making of United States and do not adopt any double standards there. Anyhow, this is my ranting. I write what I want to write. In short, I always find it a shortcoming in my study of History of Modern India, that I know that I do not have full understanding of the British Politics and History when I try to explain the STRUGGLE FOR FREEDOM of INDIA in equally louder sound. It is here in the case of this book that I had just enjoyed reading this small biography of Prince Albert, who became George VI in 1936. I have already talked about two titles which are published by Hourly History and have posted it on this blog itself. I have pointed out two major flaws in their work. They do not tell about the actual writer of the title. Dear Friends, Hourly History is no Author. Kindly reveal your identity. The publication must reveal the identity of the individual author. The second objection is that they do not give any bibliography or references and called their work as work of History. The same objection is raised here for this title also. But this title is somewhat different and I have enjoyed reading it. I had completed the reading of this title on April 24, 2017. This time I had discontinued the reading of W. W. Atkinson and just picked up this title. I actually downloaded it on April 24, 2017 and just read it. I did not google much. I did not try to see the Wikipedia entry. I definitely searched for some terms and names. But I did not go for a further search on the internet. I read it from chapter to chapter while attending to my other primary duties. But, I returned back to read the next line or chapter, the moment I got the time. It is a book meant to be read in an hour. I read it and probably devoted only an hour on all counts. The very first chapter attracts your attention to learn about Albert. It was written by a person who knew that he was writing about an elite person but he also knew how to create a profile of a person from the time angle and also from psychological, social and political angles even if he was portraying a profile of a member of a royal family. This tile of the chapter is "Introduction". The Introduction is followed by following ten chapters. It was only after completing the reading of the whole book, that I tried to check into Wikipedia. There I found that the portrait which was displayed on the title of this book was similar to the one, that appeared on Wikipedia. I reproduce it here and it displayed to your right hand side with the acknowledgement. I also found that in case of the conclusion, there was an apparent similarity in the conclusion written in this book and lines written under the paragraph titled the Illness and Death. As I have already mentioned that while reading this title I did not explore the interenet contrary to what I claim that it is a practice with me that I explore the Internet extensively while reading the book. It is a practice with me. However, now I feel, that a Wikipedia Book must be compiled to substantiate this book. King George VI definitely lived an eventful period in the history and had left a great mark on the history of his own country. I will soon produce that compilation.